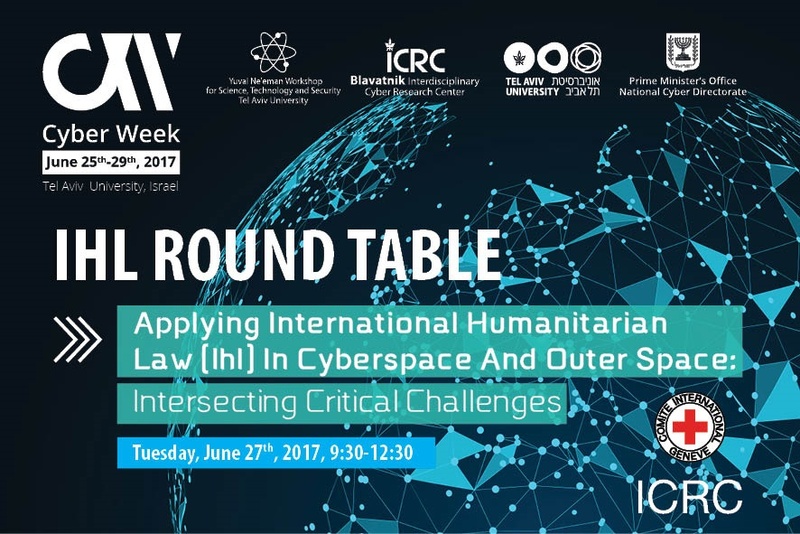 Join us for the discussion on the relationship between International Humanitarian Law (IHL), cyber technology and outer space as we further explore one of the ‘grand challenges’ at the intersection between IHL and cyberspace. The application of the International Humanitarian Law (IHL) to cyber operations used as means of warfare during armed conflict presents difficult legal, policy and practical challenges. The aim of the round table is to foster strategic thinking about the “grand challenges” at the intersection between IHL and cyberspace. This year we will focus on the IHL and cybersecurity aspects of the use of outer space. Although the realm of outer space is a relatively recent area for human activity, space technologies enhance and influence many aspects of our daily lives such as weather and disaster forecasting, communication networks, scientific exploration, agricultural monitoring, military preparedness and many other human activities. The connection of these activities to those on earth takes place through cyber connections, especially satellite transmissions through cyberspace. The legal round table will explore the legal aspects of the interdependence of cybersecurity and space security. The round table will focus on the limitations that IHL may impose on the use of cyberspace technologies, the rights of states to self-defense and outer space military conflict. How existing legal concepts being interpreted and applied to best address these challenges? Do new legal norms need to evolve? Ram Levi, Founder and CEO of Konfidas Ltd.